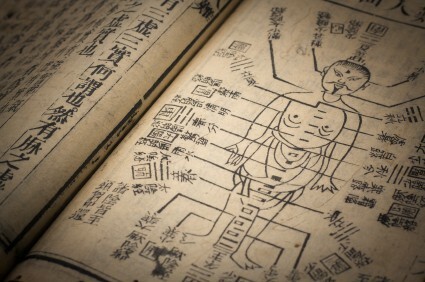 Acupuncture is part of a 5,000 year old system of medicine developed in China. Modern research findings are consistent with the ancient application of this technique. 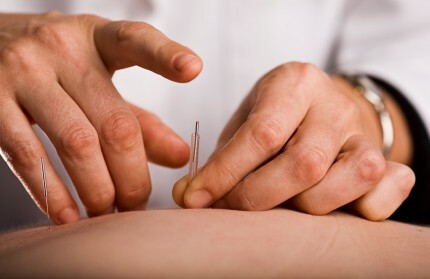 Using Acupuncture can help resolve numerous types of health conditions quickly and effectively. There are many different styles of Acupuncture. Dr. Soszka uses the Balancing Method, TCM Acupuncture, Classical Acupuncture (Taoist Style), and Anatomically-based technique. This is by far the most common question that Dr. Soszka is asked when people find out that he uses Acupuncture in his practice and the answer is a resounding YES! He has personally seen some amazing healing take place with Acupuncture - often in conjunction with Chinese herbal formulas. This modality is certainly well known for having potent pain relieving results but it can treat many different conditions including respiratory, digestive, women’s and men’s health issues, and even weight loss! The Chinese medical scholars believe the body’s energy called Qi flows through specific pathways in the body called meridians. Along these meridians are energy nodes (areas that qi gathers) commonly called “Acupoints” that can influence the flow of energy along these meridians and their associated organs, and the parts of the body that these meridians travel along. The placement of hair thin needles at these acupoints can strongly influence the energy of the body, directing its movement, correcting imbalances within the meridians and organs. Western medical researchers, led by the National Institutes of Health, have done numerous studies that have consistently found five major areas of effect within the body. Currently there are five theories as to why acupuncture works. Studies have found measurable changes to the blood chemistry with increases in white blood cell count, prostaglandins, and other agents of immunity in before/after blood tests. Acupuncture triggers the release of endorphins - the body’s natural pain killer - which are 1000 times stronger than morphine. This is one of the reasons that it is so effective for pain related conditions. Studies find that acupuncture can influence blood profusion in the tissues by increasing or decreasing blood flow, this being most evident in the treatment of muscle strain and spasm. Additionally, acupuncture appears to influence the release of both Serotonin which influences mood, and Noradrenalin which has associations with focus and concentration. Acupuncture can actually block the transmission of pain along the nerves by overloading the nerve gates, preventing the pain from reaching the brain. I have used this in cases of hyperactive nerve pain - often seen in post-stroke conditions. Every year, more and more insurance companies are adding Acupuncture service coverage to their policies. Not sure if your insurance company covers Acupuncture? Call us at (503) 517-8222 and we’ll find out your policy coverage.